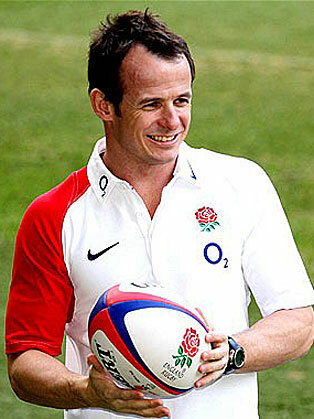 Austin Healey is a former English rugby union player, who played as a utility back for Leicester Tigers, and has represented the England national rugby union team and the British and Irish Lions. He has 51 England caps and 2 Lions caps. He has played for England at scrum half, fly-half, fullback and wing, and has often been used as a replacement (or substitute) because of his versatility. He is a famously competitive and "outspoken" character, gaining the nickname "The Leicester Lip". In 2008, he took part in Strictly Come Dancing, he made it to the quarter-finals, with dance partner Erin Boag.